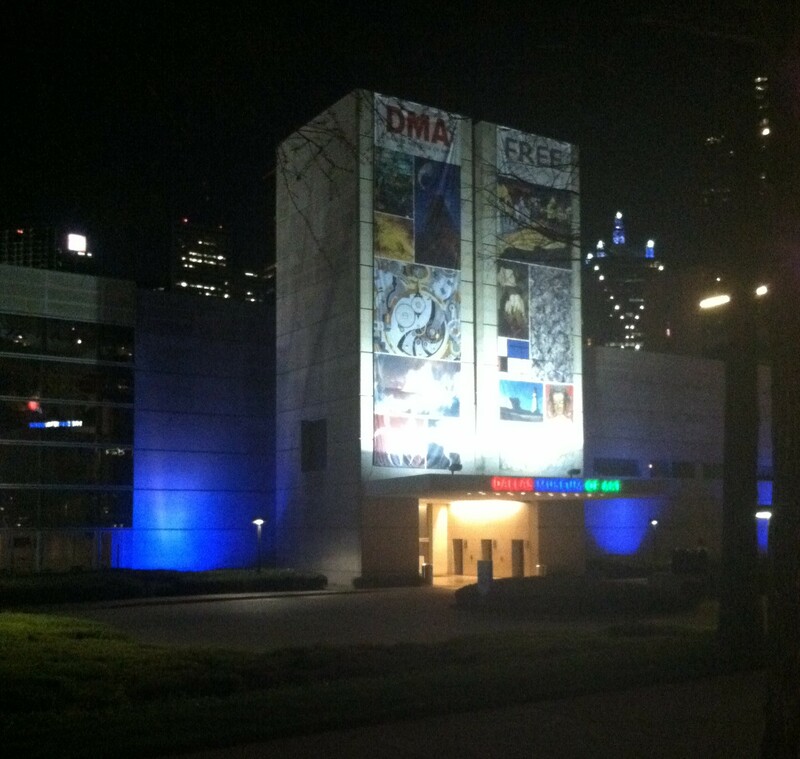 The DMA has offered programs for children with autism and their families for the past four years, but this April marks the first time that we’ve participated in Autism Awareness Month by turning our lights blue. The global initiative, led by Autism Speaks, is called Light It Up Blue and has the goal to raise awareness about autism by inviting thousands of buildings to shine blue lights throughout the month of April. Light It Up Blue kicked off on April 2, World Autism Awareness Day. Be sure to check out our lights through the end of the month!